Train wrecks were not unusual back in the 1800s and 1900s. Whether it was derailments, collisions, or equipment malfunctions it is no secret that many lives were lost along the rails. A well-known accident happened in 1912 along the Ligonier Valley Rail Road, but there have been many others. Even some that occurred within 10 miles of Greensburg such as the Devil’s Bend wreck in Manor. 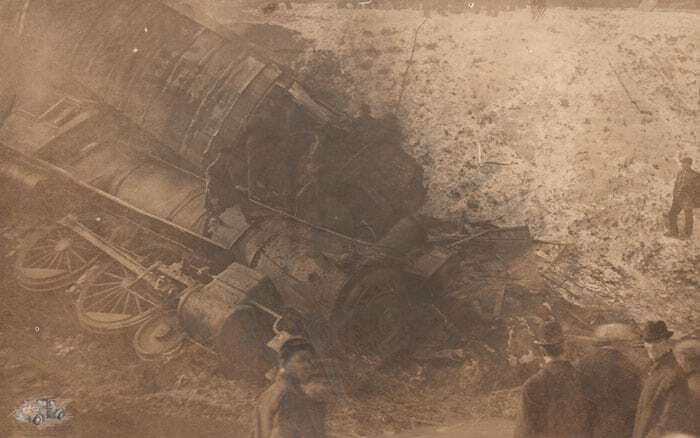 One notorious Greensburg-area wreck happened just outside of Manor on a straight stretch of rails approximately 75 yards east of a dangerous stretch of tracks called Devil’s Bend. A Fast Express train left the rails and came to rest at the bottom of an embankment next to Brush Creek. The engine derailed first, and pulled the front baggage and express cars down with it. Judging by the railroad derricks working at the top of the picture show a drop of about 60 feet to Brush Creek. Loaded on the express cars were race horses, most of which were killed outright in the crash. The rest were so badly injured that they had to be put down on the scene. The loss of the horses along was over $75,000. All of the dead horses were buried across Brush Creek in the pasture of the Becker farm. In addition, several of the horse’s handlers were also killed. 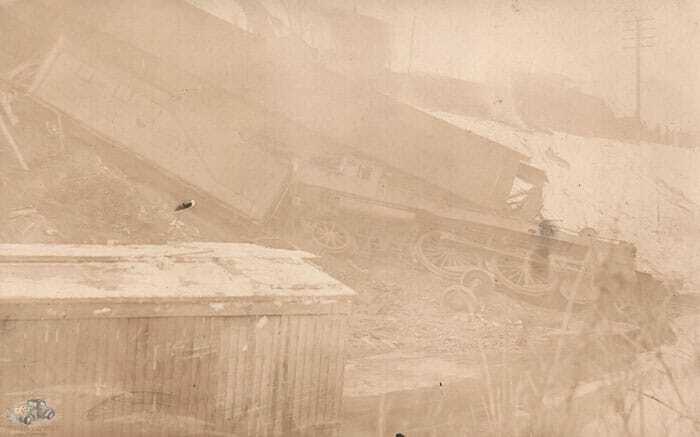 These are the pictures of the wreck that occurred Dec. 4, 1911. I had them to send but always neglected to send them. Maybe you did not hear about it, but there was a couple of western fellows killed, and 19 head of horses valued at $75,000 killed. The reck (sic.) occurred at Hershey’s Crossing a short way above Manor. It was an awful smash up. Notice closely and you will see three horses laying in front of the engine. Would you know what town Miss Mary Heasley was living in?